Surviving in today’s dynamic manufacturing world means delivering quality parts, reducing costs and maintaining a high level of customer satisfaction. Our unique Manufacturing Software Solutions process for collecting and distributing plant floor data increases visibility into your production operations and helps keep your systems up and running at optimal performance. With direct connectivity to major Industrial Automation network protocols, including EtherNet/IP, PROFINET, and Modbus TCP, our clients experience the benefits of a true IIoT solution, through the seamless integration of Zebra Technologies Ultra-Rugged Barcode Scanners to your control and monitoring systems. With Pyramid Solutions’ IntelliWORKS, our day-to-day operations run smoothly. We now have the visibility to not only collect and analyze production data, but we can also visualize metrics in an actionable context to our operational teams. Our manufacturing defect tracking solution, IntelliWORKS, allows you to efficiently collect, track, report on and manage product defects, eliminating paper on the plant floor. With IntelliWORKS, you can quickly identify and report defects in a manufacturing process. Our solution immediately notifies operators of defects with horns, lights and user displays. Defect data attaches to specific assemblies for historical, regulatory and repair purposes. Having intelligence on each assembly prevents you from shipping non-conforming parts in the future and provides visibility for root cause analysis. Pyramid Solutions’ packout and labeling solution, IntelliPACK, implements a common process for labeling, validating and ensuring each component meets your customer’s ordering specifications before being placed onto the shipment container. IntelliPACK is a packout/fulfillment application that facilitates the packing operation at the end of the manufacturing process. 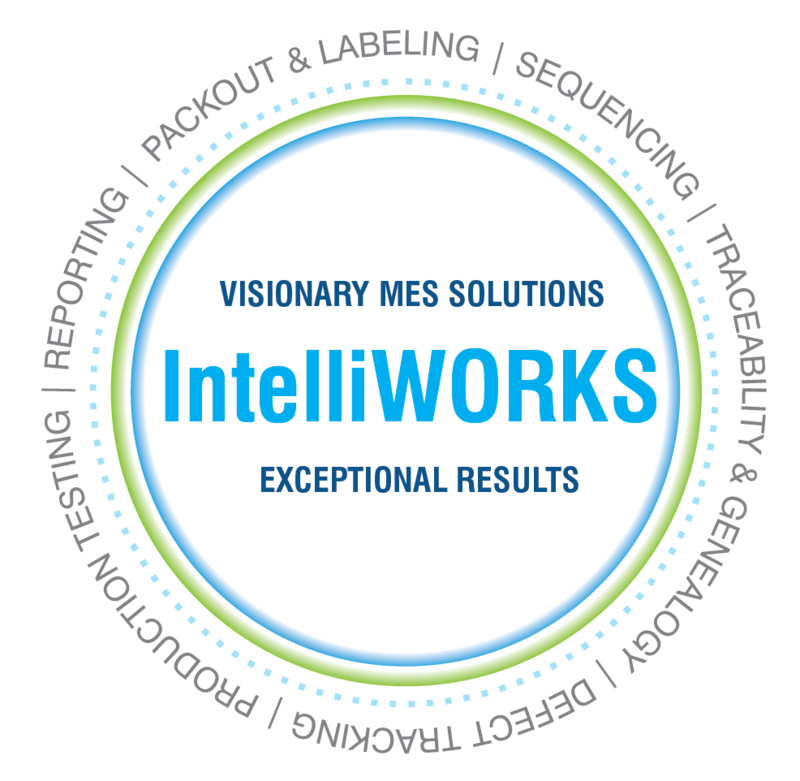 Our sequencing software, IntelliQUENCE, drives either a complete, complex built-to-order process or a pick-and-pack operation. It manages the two-way communication necessary for a sequenced production with precise functionality that reduces inventory expenses and risk of errors. IntelliQUENCE eliminates the high cost of line-specific software with an intuitive user interface. Even non-technical employees can navigate the drag-and-drop interface. Users have the ability to break each operation into individual tasks and design automated steps across key manufacturing, assembly and shipping processes.